I have just added one more memory to my list of life’s great experiences. 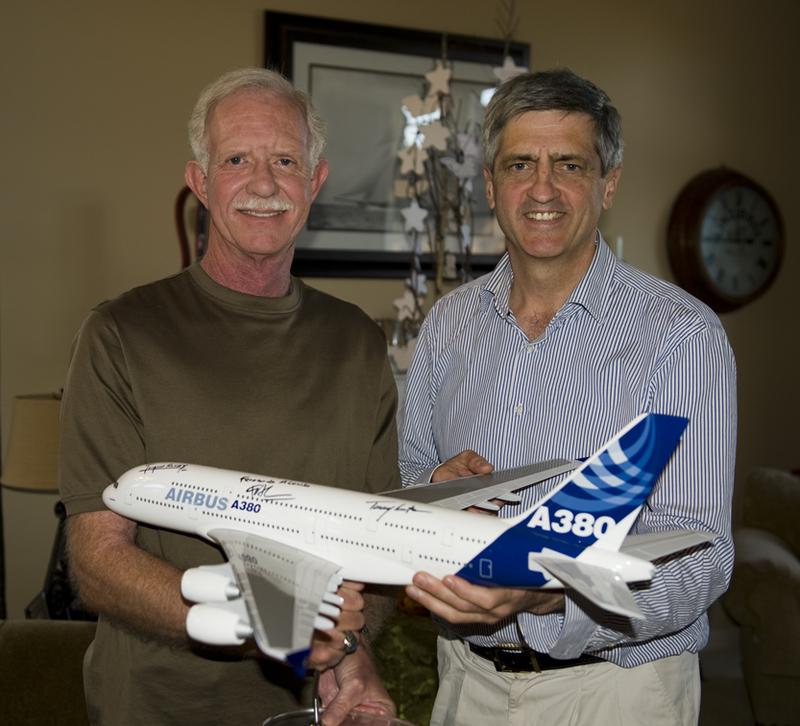 I spent many hours yesterday with Captain Chesley “Sully” Sullenberger, the captain of US Airways flight 1549 that successfully ditched in the Hudson in 2009 and the captain who saved the lives of 155 passengers and crew. Sully is a quiet and humble man who nevertheless tours the world trying to improve aviation safety and the health of our airlines. 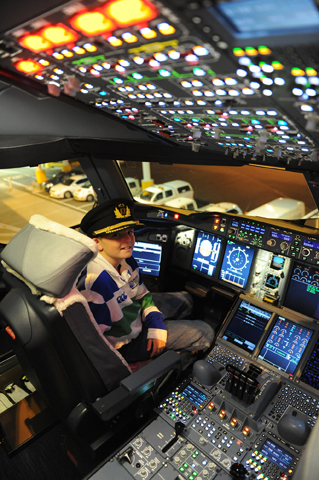 He has more knowledge and experience about Human Factors, Management and Leadership than any other pilot I know. Sully and I discussed our respective flights; the good, the bad and the lessons learned. He explained why we must value knowledge, training and the wisdom of experience and he continues to project these values via public forums – to serve a greater good for everyone. Sully is a world treasure and we are fortunate to have him as a credible aviation spokesman. Sully’s new book “Making a Difference” is a must have reference that identifies the “elements of leadership”. Unlike theoretical leadership books, Sully gathers stories of courage and inspiration from America’s best leaders then reflects these against his experiences and litmus tests to show where these best practices are used in the worlds safest industry – civil aviation. During the time I spent with Sully yesterday, I quickly became aware of why Flight 1549 was one of the greatest successes in aviation. It was not due to luck. Sully was prepared, simple as that! Sully had been practicing for that four minute flight for his entire 40 year career. When both engines failed (and this was the first time Sully had ever experienced an engine failure), he had to instantly synthesize 40 years of flying knowledge and experience to solve a Black Swan problem. His flying skills were remarkable, his situation awareness and management was brilliant. But most of all Sully’s leadership skills were impeccable. Sully’s book dovetails his learning and experience with advice from other famous leaders from Gene Kranz (Apollo 13) through to Jim Sinegal (Costco). 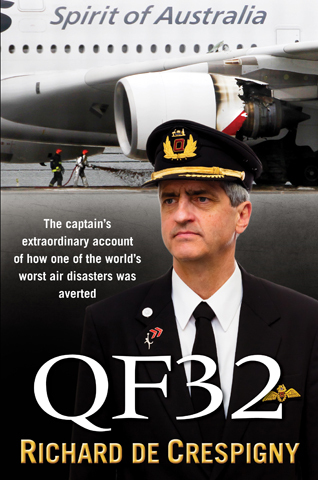 There is an interesting coincidence here as Sully’s and my book (QF32) both laud Gene Kranz for his remarkable leadership skills that contributed to saving Apollo 13 from disaster. Indeed, QF32’s Chapter 18 is entitled “Apollo 13”! Sully’s new book “Making a Difference” includes priceless nuggets of knowledge for all of us in areas such as: Ego, Responsibility, Authority, Risk, Confidence, Courage and Initiative. I was fortunate to spend time with Sully yesterday. I felt I already knew him well via reading his books, and it turned out that I was right. WYSIWYG*. To read Sully’s book is to look into his mind, his moral foundation, experience and beliefs. What a great read! I read your book soon after release and considering the movie Sully has just come out, when I was in the bookshop and saw his book ‘Sully’, I thought I should read it before seeing the movie. I’m not someone who reads books all the time and there a few novels that I’ve started and haven’t got back to. But when books like yours and Sully’s come along, I find it hard to put them down. Not sure how long yours took, but I had Sully’s done in 5 days. The thing that really struck me was how similar both you and Sully are. 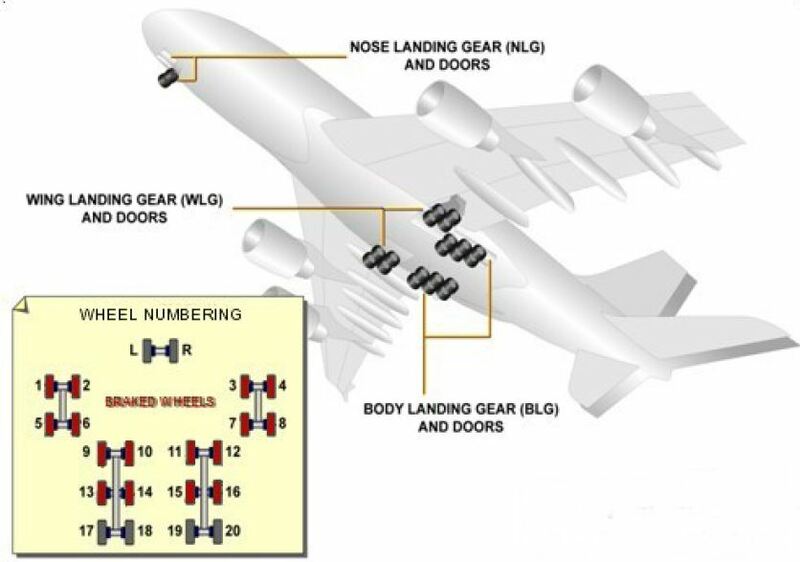 Your military careers and how you studied each aircraft you flew in great detail. As your incident was after Sully’s, did he get in touch with you to offer advice? In his book be talks about how I think his union people told him he would have all of the symptoms of PTSD and that is exactly what he found. Did you get told the same thing? I just want to pass on my thanks that there are pilots like yourselves that have such a great passion and dedication for flying us safely. In my job, I try to remember your words so I can also become better at what I do. Thanks Glenn. Yes I did talk to Sully two months after my flight. His advice was chilling and proved 100 percent correct. If a friend is ever beset by a similar challenging event to QF32, then I will contact them and offer similar advice. I am writing more about this in my next book, on the shelves in 12 months. Our backgrounds and interests are similar. Sully has become a mentor and great friend. I recommend you also read Sully’s second book “Making a Difference”. It contains stories about leadership from the world’s best, starting with Gene Kranz. Sully is indeed inspirational & humble. I put you in the same category. As much as I am in awe at Sully’s achievement in saving that flight, your work in QF 32 is unprecedented in aviation history to my knowledge. The knowledge you had of the aircraft (you’re the Yeager of commercial pilots), trust of your experience & instincts, hours of huge pressure, beautiful landing all add up to the most extraordinary tale I’ve ever read in aviation circles. Thank you to you & your crew for making me a proud Australian, & former QF employee. Actually I was the founding president of the QF motorcycle club in 2002, so naturally enjoyed the early part of the book where you spoke of your beloved Ariel. I was also very moved when you wrote about your PTSD, and the comment about the attitude of just having to ‘toughen up’ (or man up). I’ve faced this attitude from several so called friends since being diagnosed with PTSD & major depression 18 months ago. It was great to see a prominent Australian man make this point (it’s the worst thing to say to someone suffering this disorder). One question if you don’t mind, several readers have been curious about why you failed the route check, you responded to one saying it would be forthcoming (that was in September). I can’t seem to find it, if you could post the link. I could rave on, but you’re a busy man, and again thank you to you & your crew. Thank you Paul for your kind comments. I am glad you enjoyed Sully’s books as much as I did. I think good leaders and managers are made, not born. Sully’s and other practical leadership books show us that it’s not that hard to distill the essence of the great leadership and realise that with the right training, that most people have the potential to become great leaders. Its the charter of all military colleges to untap and develop these skills in their students.